"V." is a young woman living in Bangkok, Thailand, who became a Christian. She grew up in a Buddhist environment, but note that it wasn't Buddhism that kept her from coming to Christ; it was her own ambitions. God made his grace known to her in some drastic and clear ways. We are thankful to her for sharing her life's story with us. Hi! My name is V., and I'm from Bangkok, Thailand. Like most Thais, I was brought up in a Buddhist family. I had Buddhist friends and pretty much grew up in a Buddhist environment, which is pretty normal here in Thailand, as only about 1 percent of the population is Christian. But looking back now, I think that, despite my circumstances, God has continually tried to find ways to reach out to me, even earlier in my life. The main problem wasn't really that I didn't believe in God, but it was more that I was clinging to certain things of this world that I thought would make me happier. I wanted to be in charge of my own life and in control of things. I was so convinced that having money, power, and a successful career would be the thing that would make me happy, that I was determined to obtain this life in any way possible. So, my earlier years consisted only of one thing: to study, study, and then to study some more. I pushed myself so hard that I got to the point where my health started to decline quite rapidly. I hardly ate; I hardly slept; I was just so focused and so determined to get that "A," that career, that lifestyle, that I was willing to give up everything just to attain it. 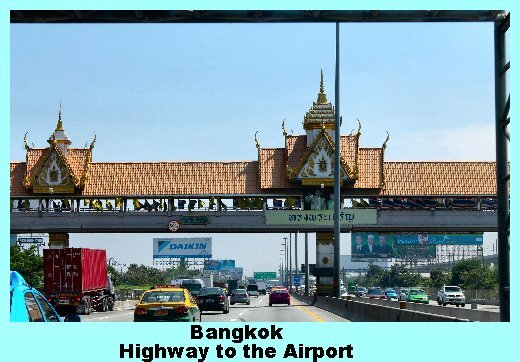 Then, I think it was around December, 2006, when my parents were driving me to Bangkok airport to go back to Melbourne, where I was studying. We were going pretty fast on the highway because my dad was concerned that I might miss my flight. Suddenly, there was a truck in front of us, and for some reason it had stopped in the middle of the highway. My dad slammed on the brakes, but it was too late. Our car crashed into it with full force. It was a good thing that we had seatbelts on, so that even after the crash my dad was able to struggle his way out of the car to stand on the highway to see if there might be a taxi going by that could take me to the airport. I was really worried, though, because my dad has a heart problem, and while he was standing there waiting, he just suddenly collapsed right in the middle of the road and fell unconscious. It was weird, like a total nightmare. I just remember running over to him and kneeling down beside him, and I just kept on shaking him and kept on saying, "Dad! Dad! Can you hear me? -- Dad! Dad! Can you hear me?" I didn't know what to do, and I was panicking. As I looked around, all I could see was cars racing past me on the left and the right, and so for some reason I looked up to the sky. And then I started praying. I never prayed so hard in my life. All I could say was, "Please, please, please don't take my dad! Please, please, please don't take my dad!" I just kept on saying it over and over again, and I felt so desperate that I added, "Please, please, please don't take my dad! You can have my life instead." I was crying; tears were gushing down my face the whole time. To me, it felt like such a long time, though it probably took only a total of just five to ten minutes. Suddenly my dad woke up. If this had been a scene in a movie, there might have followed an immediate happy reunion, but it wasn't anything like that. The first words my dad uttered almost seemed harsh: "Why are you crying? And where are we? Why aren't we at the airport? You're going to miss your flight." My own thoughts were exploding inside of me, "Dad! Who cares about that stupid flight? You nearly died! " Anyway, that incident woke me up, and I thought, "What am I doing? Why am I trying so hard? I could be killing myself just to obtain this lifestyle just for money and power and all the success, none of which would ever have been able to save my dad, even if I had all the money and power in this world. They could not have done anything at the time." So, after that drastic event, safely back in Melbourne, I started to go to church more and I joined a special group in church, where I made some really good friends, and I think around six months later I officially prayed to give my life to Christ. Life after that, for a while at least, was just great. I was pretty much all set, I thought. I was surrounded by good Christian friends, and I loved my church. I just thought "I could live here forever in Melbourne." I was clinging so hard to Melbourne because I didn't want to go back to Bangkok because there I had no support and no Christian friends or family. I was trying so hard, so hard, to hang on to Melbourne! But in the end it was quite clear that I had to go back, though at the same time, I was genuinely afraid because I was just terrified that I was going to lose my faith. Still, one thing is definitely for certain: God has proven time and time again to be so faithful and so gracious to me. Once back in Bangkok, I was afraid to tell my parents that I was a Christian, because my dad is quite opposed to this religion. So, all my friends were praying for me, and I was obviously also praying. Finally, when I got the words out, all he said was, "You're grown up enough; you can make your own life's choices. You can do whatever you want." To me, this was the best gift ever. It meant that I could actually go to church, and I could actually live openly for God here in Thailand. I was so blessed again because I fell in love with the very first church that I attended. I just love the people there, and I love the atmosphere. It's just a small little church, and a lot of people who go there are missionaries. I realized later that for many of my other Christian friends who went back home, it took them years to find a church that actually fit them, and with which they were comfortable. So God definitely has been very gracious and has taken really good care of me. I started helping out with the church, with kid's work, about one year after first attending. Then I joined the church’s study course in the basics of Christianity, and I got involved in helping out with it not too long thereafter. Last year, in December 2010, I finally got baptized; it was a great day—so happy! Last month I started to lead one of the Bible studies at our church. Looking back now, I can honestly say that all of this has been truly from God's grace, his confidence and his patience with me, for none of this would be possible without him. But it is only through him that I am able to be at the point that I am now today, and I'm just so grateful that he has chosen to keep me for this long. Thank you for reading my story.